Since I figured that one day I may have to be designing websites for really small screens, I decided to treat myself to a fun gadget and purchase an Apple Watch. 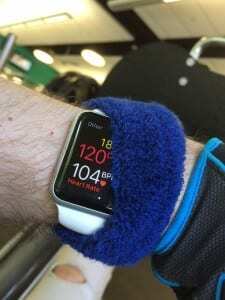 I have been enjoying the many features that the Apple Watch offers, especially the workout tracking apps. However, wearing my Apple Watch at the gym has been a harrowing experience, as scratching it is a big fear of mine. So I discovered a simple and easy life-hack for an Apple Watch screen protector. 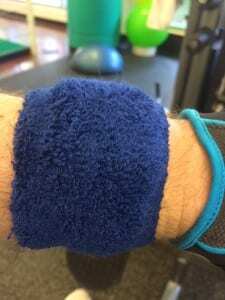 Step 1: Obtain a wrist sweat band. I had one lying around that I had from a schwag bag. Step 2: Put it around the Apple Watch on your wrist. This has a dual purpose of both protecting the watch and keeping it secure on your wrist to more accurately measure your heartbeat. Step 3: Workout in the weight room or at the gym without fear of scratches. 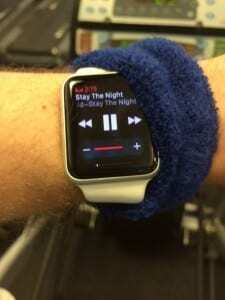 You also have the added benefit of being able to easily control your music from your wrist while you workout. 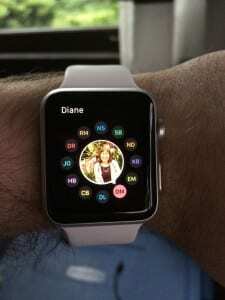 Do you have any useful tips for the Apple Watch? If so, please share them below!